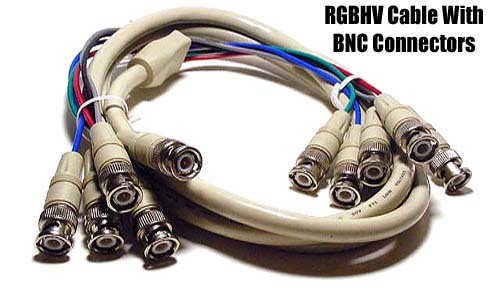 High quality double shielded 5 BNC to 5 BNC RGB cables. These cables are made for carrying the highest quality RGB video signals for high end graphics workstation s and RGB monitors with RGBHV inputs. Five male connectors include red, green, blue, horizontal and vertical sync with internal coax lines.